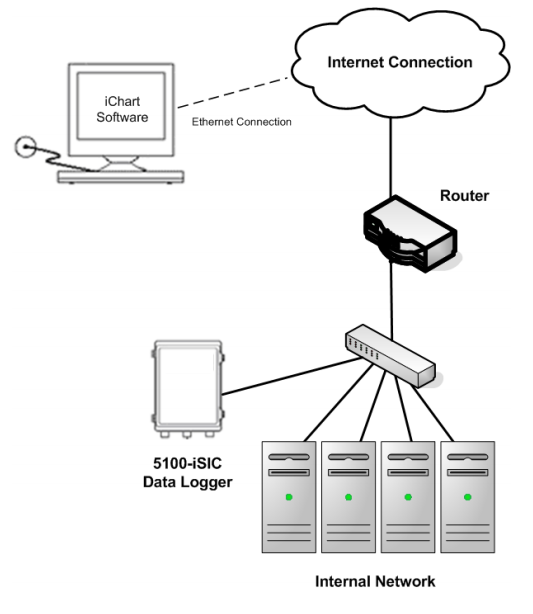 5100-iSIC Communication - NexSens Technology Inc.
iChart software communicates to a 5100-iSIC device through an internet connection. The 5100-iSIC will be assigned a static IP address. The router that connects the 5100-iSIC to the internet should also have a static IP address and port forward external internet traffic to the internal 5100-iSIC IP address on ports 10001 and 9999.